ABOUT THE COMPOSER: Two-time Emmy® -nominated composer Nathan Barr has received critical acclaim for his unmatched versatility, incorporating eclectic instruments from music cultures across the world. Nathan’s eclectic and bold melodies draw the audience into a tale of America’s birth as a superpower, through the bloody rise and fall of a Texas oil empire. Barr’s hallmark is his adaptability as he scores some of television’s biggest shows. 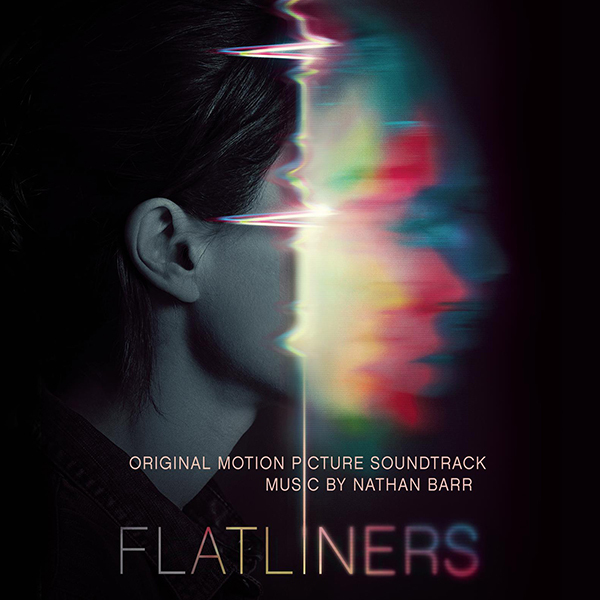 In addition to recently completing Amazon’s con man drama Sneaky Pete, Nathan’s music can also be heard on all seven seasons of HBO’s Emmy® -winning and fan-favorite series, True Blood and Netflix’s Hemlock Grove, for which Nathan earned his second 2013 Emmy® nomination for the main title theme. With two Emmy® nominations for both FX’s The Americans, for which Nathan received an Emmy® nomination for Outstanding Original Main Title Theme Music in 2013, and Netflix’s Hemlock Grove, the double honor gave Barr the distinction of being the first composer to ever have two nominations in the Main Title category in the same year. Nathan Barr’s extensive television career is only rivaled by his work in feature films. As he approaches his 40th film, he has worked with Niels Arden Oplev, gore-horror master Eli Roth, and many other highly respected directors. Nathan’s feature scores include Lionsgate’s comedy The Big Wedding, starred Robert De Niro, Diane Keaton, Susan Sarandon, Robin Williams, Amanda Seyfried, Katherine Heigl, and Topher Grace, Jason Blumhouse’s box office hit thriller The Boy Next Door, starring Jennifer Lopez, 20th Century Fox’s Shutter, Warner Bros.’ The Dukes of Hazard, IFC Films’ thriller The Ledge, starring Liv Tyler and Terrance Howard, Dimension Films and Vivendi Entertainment’s Grindhouse, Screen Gems and Lionsgate’s Hostel, Hostel 2 and Cabin Fever and Lionsgate’s The Last Exorcism. Barr began studying music in Tokyo, Japan at four years old. He grew up surrounded by eclectic music ranging from Kabuki Theater to the sounds of his mother performing on the koto and piano, and his father playing the banjo, guitar and shakuhachi. In addition to writing his scores, he performs many of the instruments heard in his compositions, and is skilled in many styles and genres ranging from orchestral to rock. Barr is also known for his collection and inclusion of rare and unusual instruments from around the world such as: a human bone trumpet from Tibet, dismantled pianos, a rare Glass Armonica, gourd cellos, and the gem of his collection, the 3 manual, 19 rank Wurlitzer Theater Organ that lived on the scoring stage at 20th Century Fox from 1928-1994, and can be heard in countless films from The Sound Of Music to Patton to Star Trek. Nathan is currently scoring Eli Roth’s gothic horror The House with a Clock in its Walls, starring Jack Black and Cate Blanchett. In addition to Flatliners, he recently completed the first season of AMC’s multi-generational epic The Son, starring Pierce Brosnan and the fifth season of FX’s Critics Choice Award-winning series The Americans. Not screened for the critics... hopefully the score will offer more to us as we are listening!